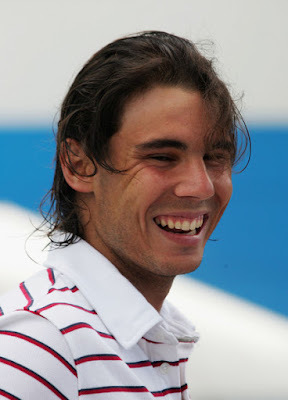 Seriously, I'm kinda get used to Rafael Nadal's new outfit already. I can't believe I can get over his signature sleeveless/pirate pants this fast! Here he is looking classier than ever. 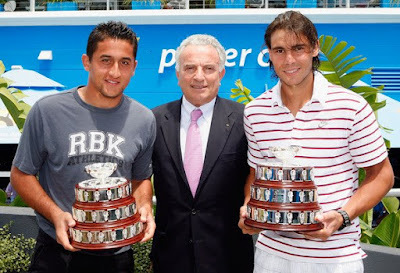 Together with Nicolas Almagro, they attended the presentation for the Spanish Davis Cup team for winning the 2008 Davis Cup during Day 3 of the 2009 Australian Open at Melbourne Park yesterday. They received their individual mini Davis Cup presented by ITF President Francesco Ricci Bitti. 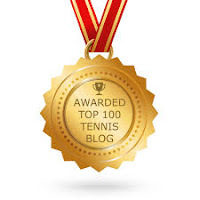 I hope there's no more last year's Davis Cup celebration or stories again after this. Let's move on!